I am a biologist working in a variety of research fields including ecology, conservation, evolution and reproduction in terrestrial vertebrates. I am passionate about amphibians and these often form the core models for my research, which has led me to work in the Amphibian Research Laboratory at the University of Newcastle. Many of my research projects involve long-term field work collecting significant data sets to explain ecological and evolutionary processes over time. The conservation of Australia’s unique fauna is also a major driver for my work. This has seen a multi-million dollar research program established to investigate and reverse the decline of the green and golden bell frog. 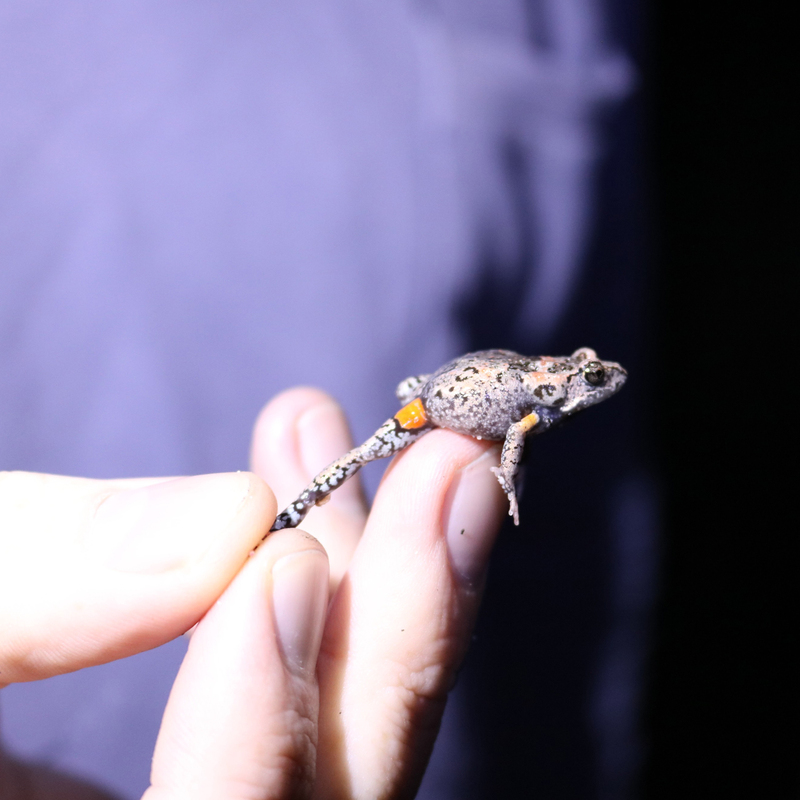 A major component of my research career has been the investigation of the impact of invasive cane toads on terrestrial ecosystems in the Kimberley wilderness of northern Western Australia, where I have been gathering data on the fauna of the east Kimberley, before the onset of toads. This work has led to numerous high-impact publications on the impacts of toads on Australian ecosystems, and ways in which to mitigate this impact. My interest in reproductive biology along with my passion for conservation has led me to become a major advocate for biotechnological approaches to conservation and stopping species extinctions, such as gene banking and assisted reproductive technologies. This work has also resulted in a cutting-edge collaborative project on de-extinction that saw the revival of live embryos of an extinct frog species through cloning – which was named in TIME magazine’s top 25 inventions of 2013. Due to my expertise and experience with frogs, I have been invited as a specialist expert scientist to participate in numerous workshops to inform and direct policy and management of Australia’s frog fauna, and have been invited to participate in Australian Geographic scientific expeditions as the lead amphibian biologist in 2011, 2012 & 2013. My research is diverse and interdisciplinary, focused in the fields of ecology, evolutionary biology, conservation biology and reproductive biology (specifically Assisted Reproductive Technologies and Gene Banking) within terrestrial vertebrates. I choose often to focus upon amphibians as my core model, although I also work on reptiles, mammals and birds. 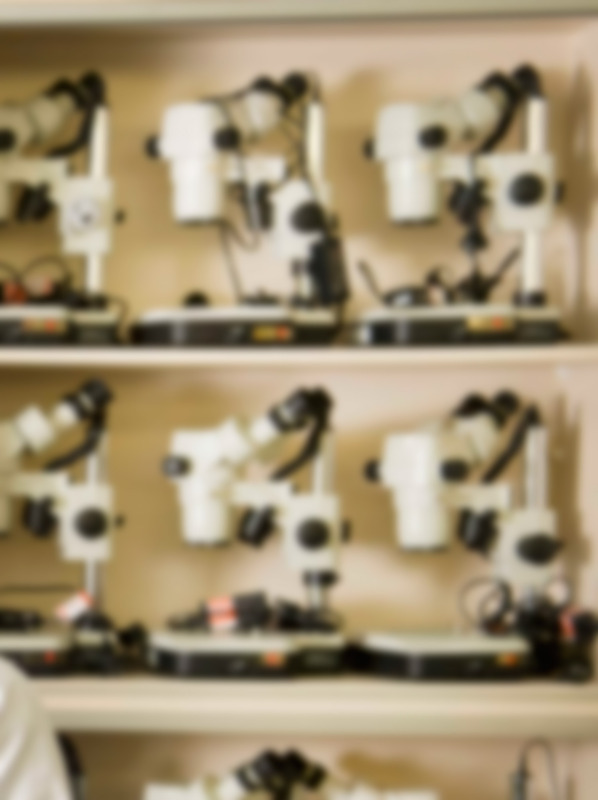 These research fields and techniques often integrate, with many of my projects incorporating both field and laboratory elements. My work in the fields of ecology, conservation, and evolutionary biology has often involved large-scale and/or long-term field projects that have collected significant long-term data sets to explain ecological and evolutionary processes over time. This has also involved gathering a large amount of data on species that are in remote/difficult areas and have been little studied. A good example of this is a current project investigating the impact of invasive cane toads on terrestrial ecosystems in the remote Kimberley wilderness of the Western Australia tropics, gathering long-term baseline data on the fauna of the east Kimberley before the onset of toads. Many of the projects that I have established in these fields as chief investigator have involved establishing good working relationships with external collaborators, some of which are at the top of their fields (e.g. Professor H. Carl Gerhardt - looking at the evolution of complex acoustic signalling in frogs; Professor Mike Archer – De-extinction and ART in Australian frogs; Dr Sean Doody – impact of invasive cane toads on Kimberley fauna). My interest in reproductive biology along with my passion for conservation has led me to become a major advocate for biotechnological approaches to conservation and stopping species extinctions, such as gene banking and assisted reproductive technologies. This work has also resulted in a cutting-edge collaborative project on de-extinction that saw the revival of live embryos of an extinct frog species through cloning – which was named in TIME magazine’s top 25 inventions of 2013. Despite being in the early stages of my research career, I have made many significant contributions in my field to date. I have published in major international journals such as Biological Invasions, Reproductive Biology and Endocrinology, Journal of Zoology and PLoS One. In my publications I have attempted to push new ground and have reported numerous novel findings e.g. investigating the drivers facilitating shifts between multiple spatio-temporal strategies in a single species (eastern grass owl) across its range. My work on de-extinction, which involved a collaborative project that saw the revival of live embryos of an extinct frog species through cloning, was named in TIME magazine’s top 25 inventions of 2013 – the only Australian invention to make the list. Current research projects include (some collaborative): - Impact of invasive cane toads in the Kimberley ranges, Western Australia - The development of cloning, Assisted Reproductive Technologies (ART) and gene banking for Australian frogs and reptiles - De-extinction of vertebrate fauna - Strategies for improving reproductive success in unpredictable environments using a model frog - Evolution of complex acoustic signalling in frogs - Social behaviour and complex nesting in the yellow-spotted monitor - Impact of introduced trout on threatened stream frogs in the NSW highlands - Investigations into the decline of the green and golden bell frog in NSW. Teaching duties have included the preparation and delivery of lectures, tutorials, running practical classes such as laboratories and field trips, and course coordination roles. Lecturing duties have included preparing and delivering a series of 6 lectures on invasive species biology for a 3rd year biology course. I have also been the head tutor and had program convenor (course co-ordinator) responsibilities for a 1st year biology course (Organisms to Ecosystems) and a 2nd year course (Science in Practice), which is a compulsory course for all B. Sc. Students (approximately 165 students per year). Courses taught include BIOL1002 Organisms to Ecosystems; BIOL1003 Professional Skills for Biological Sciences 1; EMGT2050 Australian Fauna; BIOL2002 Laboratory Skills in Biological Systems; BIOL2070 Ecology; SCIT2000 Science in Practice; BIOL3350 Ecological Research and EMGT3030 Conservation Biology. I have been fortunate enough to collaborate with several researchers at the top of their game which have led to ground breaking research outcomes including: Professor H. Carl Gerhardt - Looking at the evolution of complex acoustic signalling in frogs Professor Mike Archer – De-extinction and ART in Australian frogs Dr Sean Doody & Dr Colin McHenry – Impact of invasive cane toads on Kimberley fauna. © 2017 Ecological Society of Australia Invasive fish threaten many native freshwater fauna. However, it can be difficult to determine how invasive fish impact animals with complex life cycles as interaction may be driven by either predation of aquatic larvae or avoidance of fish-occupied waterbodies by the terrestrial adult stage. Mosquitofish (Gambusia spp.) are highly successful and aggressive invaders that negatively impact numerous aquatic fauna. One species potentially threatened by Gambusia holbrooki is the green and golden bell frog (Litoria aurea). However, G.¿holbrooki&apos;s role in this frog&apos;s decline was unclear due to declines driven by the chytrid fungal disease and the continued co-existence of these fish and frogs in multiple locations. To clarify the extent to which Gambusia is impacting L.¿aurea, we conducted 3¿years of field surveys across a deltaic wetland system in south-east Australia. We measured the presence and abundance of aquatic taxa including G.¿holbrooki, and L.¿aurea frogs and tadpoles, along with habitat parameters at the landscape and microhabitat scale. Generalized linear models were used to explore patterns in the abundance and distributions of L.¿aurea and G.¿holbrooki. We¿found strong negative associations between G.¿holbrooki and tadpoles of most species, including L.¿aurea, but no apparent avoidance of G.¿holbrooki by adult frogs. Native invertebrate predators (Odonata and Coleoptera) were also absent from G.¿holbrooki-occupied ponds. Due to the apparent naivety of adult frogs toward G.¿holbrooki, the separation of G.¿holbrooki and tadpoles, plus the abundance of alternative predators in G.¿holbrooki-free ponds, we conclude that the impact of G.¿holbrooki on L.¿aurea recruitment is likely substantial and warrants management action. © 2018, Societas Europaea Herpetologica. All rights reserved. Ecomechanical measures of performance such as bite force may function as an indirect measure of niche. This study proposes that allometric changes in performance may contribute to niche separation, especially in a group where the specific mechanism(s) remains unclear. We surveyed the bite force and morphology of 5 wild caught, sympatric skink species in the Kimberley region of Western Australia. Skinks were collected from trapline fences, weighed, photographed, and maximum bite force was measured with a piezoresistive force sensor. Morphological metrics were derived from photographs of the dorsum. Normalized morphological traits indicate interspecific variability in form, particularly in forelimb length, which may be a result of habitat separation. Bite force showed strong, significantly positive, allometric scaling against most morphological traits. Tail length was the only morphological trait that scaled isometrically. Allometric changes in bite force may increase dietary breadth, allowing larger skinks to supplement their diet with larger, more durable prey. This study reveals that ecologically relevant traits may be explained by allometric differences coupled with size variation. Future work should focus on (1) an increase in sample size, (2) long-term measurement of diet selection, and (3) accessibility of prey items to our focal animals. Copyright © Fauna & Flora International 2017 The creation or restoration of habitat to mitigate biodiversity loss is a common conservation strategy. Evidence-based research via an extensively monitored trial study should be undertaken prior to large-scale implementation to predict success and identify potential limiting factors. We constructed an experimental trial habitat for the threatened green and golden bell frog Litoria aurea, in Australia, to inform a broader programme of compensatory habitat creation. Individuals were released into the trial plot and a nearby natural wetland for comparison to determine if the created habitat would support their growth, survival and persistence. Half of the trial waterbodies were enclosed within an exclusion fence to separate the effects of habitat suitability from ecological processes. We found the habitat provided L. aurea with sufficient resources to grow, survive and persist for 3 years. However, no breeding occurred, and further investigations need to focus on understanding the drivers of reproduction. Although a disease outbreak occurred during the study, persistence continued for the next 2 years. This was attributed to the large number of individuals released, a strategy we recommend for future mitigation strategies to account for low survival and high turnover rates. Dispersal probably affected abundance in the unfenced areas, and landscape-level initiatives are suggested for this species. This study demonstrates that experimental trials are valuable, as they can inform future habitat management by identifying limitations that could hinder success prior to the implementation of large-scale initiatives. © 2016, Springer-Verlag Berlin Heidelberg. Ontogenetic changes in disease susceptibility have been demonstrated in many vertebrate taxa, as immature immune systems and limited prior exposure to pathogens can place less developed juveniles at a greater disease risk. By causing the disease chytridiomycosis, Batrachochytrium dendrobatidis (Bd) infection has led to the decline of many amphibian species. Despite increasing knowledge on how Bd varies in its effects among species, little is known on the interaction between susceptibility and development within host species. We compared the ontogenetic susceptibility of post-metamorphic green and golden bell frogs Litoria aurea to chytridiomycosis by simultaneously measuring three host-pathogen responses as indicators of the development of the fungus¿infection load, survival rate, and host immunocompetence¿following Bd exposure in three life stages (recently metamorphosed juveniles, subadults, adults) over 95¿days. Frogs exposed to Bd as recently metamorphosed juveniles acquired higher infection loads and experienced lower immune function and lower survivorship than subadults and adults, indicating an ontogenetic decline in chytridiomycosis susceptibility. By corresponding with an intrinsic developmental maturation in immunocompetence seen in uninfected frogs, we suggest these developmental changes in host susceptibility in L. aurea may be immune mediated. Consequently, the physiological relationship between ontogeny and immunity may affect host population structure and demography through variation in life stage survival, and understanding this can shape management targets for effective amphibian conservation. © 2015, Springer-Verlag Berlin Heidelberg and ISPA. Conspecific attraction plays an important role in habitat selection of several taxa and can affect and determine distribution patterns of populations. The behaviour is largely studied and widespread among birds, but in amphibians, its occurrence seems limited to breeding habitats of adults and gregarious tadpoles. The Australian green and golden bell frogs (Litoria aurea) have suffered considerable shrinking of their original distribution in south-eastern Australia since the 1970s. Currently, with only about 40 populations remaining, the species is considered nationally threatened. In natural conditions, these frogs are aggregated in the landscape and do not seem to occupy all suitable ponds within the occurrence area. To date, studies focusing on the frogs¿ habitat have failed in finding a general habitat feature that explains current or past occupancy. This led us to the hypothesis that social cues may play a key role in habitat selection in this species. Using two choice experiments, we tested the preference of juvenile green and golden bell frogs for habitats containing cues of conspecifics of similar size versus habitats without conspecific cues. Tested frogs did not show a preference for habitats containing only scent from conspecifics but did prefer habitats where conspecifics were present. Our results show that conspecific attraction is a determining factor in juvenile green and golden bell frog habitat selection. To our knowledge, this is the first time the behaviour is shown to occur in juvenile frogs in the habitat selection context. From a conservation management point of view, the behaviour may help to explain the failure of reintroductions to areas where the frogs have been extinct, and the non-occupation of suitable created habitats in areas where they still inhabit and develop appropriated management strategies. Although amphibians are one of the most threatened animal groups, little published evidence exists on effective management programs. In order for conservation initiatives to be successful, an understanding of habitat use patterns is required to identify important environmental features. However, habitat use may differ between the different sexes and age classes due to different behavioural and resource requirements. For this study, we compared microhabitat use during the active breeding season among the sexes and age classes in the endangered green and golden bell frog Litoria aurea, a species which has had several failed management programs. We found aquatic vegetation was selected for by every L. aurea class, and should be the focus of future management plans for this species. Females were the only class to select for terrestrial vegetation more than availability. 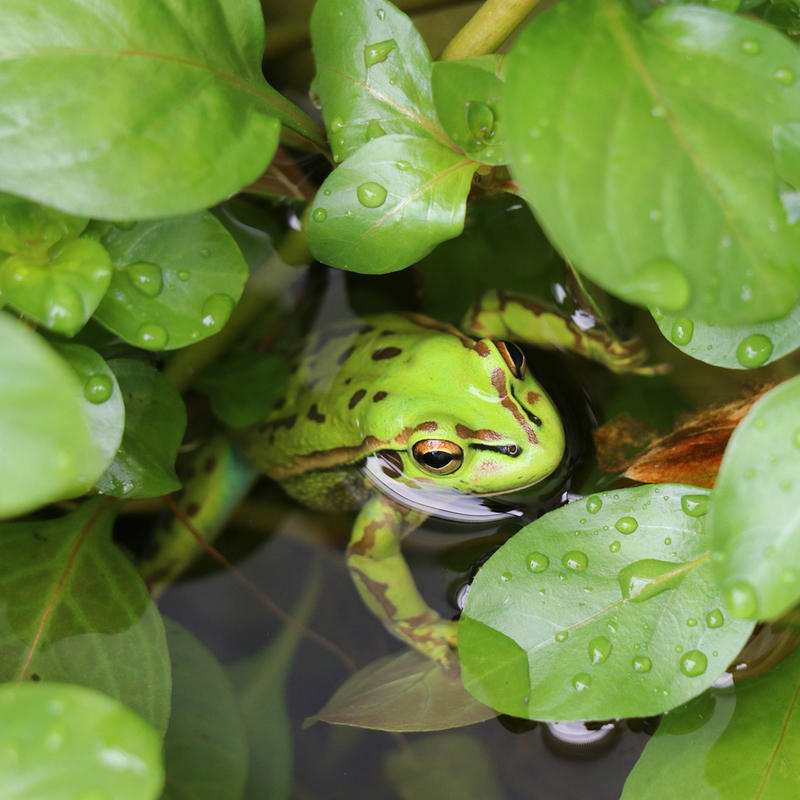 Increasing the amount of terrestrial vegetation around ponds may help encourage female occupancy, and possibly improve management outcomes, as they are typically a limiting resource. Although large rock piles have been used in past L. aurea habitat management, they were selected for by adults and juveniles, but not metamorphs. Therefore, large rocks may not be necessary for captive breeding portions of management initiatives, which typically only involve tadpoles and metamorphs prior to release. The results indicate that the most appropriate management plans should contain a habitat mosaic of various microhabitats, such as a large proportion of aquatic and terrestrial vegetation with patches of bare ground and a small proportion of rocks for basking and shelter. Recognizing differences in microhabitat use patterns between individuals in a population and implementing them into management strategies should be a pivotal step in any conservation plan. © Copyright 2016 Magnolia Press. The discovery of new vertebrate species in developed countries is still occurring at surprising rates for some taxonomic groups, especially the amphibians and reptiles. While this most often occurs in under-explored areas, it occasionally still happens in well-inhabited regions. We report such a case with the discovery and description of U. mahonyi sp. nov., a new species of frog from a highly populated region of New South Wales, Australia. We provide details of its morphology, calls, embryos and tadpoles, and phylogenetic relationships to other species of eastern Uperoleia. We also provide the results of targeted surveys to establish its distribution and provide observations of its habitat associations. As a consequence of these surveys, we comment on the likely restricted nature of the species&apos; distribution and habitat, and place this in the context of a preliminary assessment of its putative conservation status, which should be assessed for listing under the IUCN&apos;s red list. We note this species, which is morphologically distinct, has gone unnoticed for many decades despite numerous eco-logical surveys for local development applications. © 2016, British Herpetological Society. All rights reserved. Social aggregations are widespread among animal groups. They are relatively common in amphibian larvae, likely conferring protection against predators, advantages for microhabitat selection, foraging efficiency, and thermoregulatory efficiency. Group formation involves selection of individuals to group with by the other members, and several tadpoles are reported to recognise and prefer to aggregate with siblings or familiar individuals. In Australia, tadpoles of the endangered green and golden bell frog, Litoria aurea, are attracted to conspecifics and form schools. We conducted two choice experiments for captive breed tadpoles of this species to test their grouping preferences. Tadpoles preferred to aggregate with conspecifics to heterospecifics of a sympatric species; however, when conspecifics were absent they preferred to aggregate with the heterospecifcs than to remain alone. Tadpoles also preferred unfamiliar kin to unfamiliar non-kin conspecifics, but had no preferences between unfamiliar and familiar siblings. Once widespread in southeast Australia, the green and golden bell frog has suffered considerable declines and local extinctions in recent decades. Susceptibility to chytridiomycosis is likely the major threat for most remaining fragmented populations and the major challenge for reintroduction programs. The strong gregarious behaviour of this species may affect disease dynamics, especially chytridiomicosis that continues to threaten remaining wild populations. © 2015 Elsevier Ltd. Although human-modified habitats often result in a loss of biodiversity, some have been found to serve as habitat refuges for threatened species. Given the globally declining status of amphibians, understanding why some species are found in heavily modified environments is of considerable interest. We used the endangered green and golden bell frog (. Litoria aurea) as a model to investigate the factors influencing their distribution toward industrial areas within a landscape. The number of permanent waterbodies within a kilometer of surveyed sites was the best predictor of L. aurea occupancy, abundance and reproduction. It appears that industrial activities, such as dredging and waste disposal inadvertently created refuge habitat for L. aurea to fortuitously persist in a heavily modified landscape. Future conservation plans should mimic the positive effects of industrialization, such as increasing the number of permanent waterbodies, especially in areas containing ephemeral or isolated waterbodies and threatened with drought. Our findings also suggest that despite amphibians being relatively small animals, some species may require a larger landscape than anticipated. Recognizing life history traits, in combination with a landscape-based approach toward species with perceived limited motility, may result in more successful conservation outcomes. Identifying why threatened species persist in heavily disturbed landscapes, such as industrial sites, can provide direction toward future conservation efforts to prevent and reverse their decline. © 2015. Conspecific attraction can prevent occupancy of restored or created habitats by limiting dispersal to unoccupied areas. This may cause problems for threatened taxa where habitat restoration and creation programmes are implemented as part of species recovery plans. Studies on birds have found that the introduction of artificial communication cues such as calling can increase occupancy of restored habitat. The endangered green and golden bell frog (Litoria aurea) has a number of behavioural traits which suggest conspecific attraction occurs via a vocal mechanism, including a loud conspicuous call and large chorusing aggregations. To date, attempts to repopulate restored and created habitat through natural immigration and active translocation of tadpoles and juveniles have been met with limited success for this species. We used L. aurea to determine if distribution could be manipulated via conspecific attraction using artificial communication cues. We placed speaker systems in uninhabited areas of five inhabited ponds across two locations and broadcast calls of L. aurea to see if we could manipulate distribution into previously unoccupied pond areas. Surveys undertaken before and after broadcast indicate that we successfully manipulated L. aurea distribution for adults increasing both occupancy and calling around the speaker locations. This occurred in four of five replicate ponds over three months of experimental treatment, but controls remained low in abundance. We suggest that manipulation of distribution via conspecific attraction mechanisms could be a useful conservation tool for endangered amphibian habitat restoration and creation programmes, resulting in increased occupancy and programme success. Captive bred animals often lack the ability of predator recognition and predation is one of the strongest causes of failure of breed and release projects. Several tadpole and fish species respond defensively to chemical cues from injured or dead conspecifics, often referred to as alarm pheromones. In natural conditions and in species that school, the association of chemical cues from predators to alarm pheromones released by attacked conspecifics may lead to the learning of the predator-related danger without experiencing an attack. In the laboratory, this chemical communication can also be used in associative learning techniques to teach naïve tadpoles to avoid specific predators and improve survivorship of released animals. In our experimental trials, tadpoles of the threatened green and golden bell frog (Litoria aurea) did not avoid or decrease their activity when exposed to solutions of conspecific macerate, suggesting that the chemicals released into the water by dead/injured conspecifics do not function as an alarm pheromone. This non-avoidance of dead conspecific chemicals may explain why green and golden bell frog tadpoles have seemingly not developed any avoidance behaviour to the presence of introduced mosquito fish, and may render attempts to teach naïve tadpoles to avoid this novel predator more difficult. © 2014 Springer Basel. Invasive species can have dramatic and detrimental effects on native species, and the magnitude of these effects can be mediated by a plethora of factors. One way to identify mediating factors is by comparing attributes of natural systems in species with heterogeneity of responses to the invasive species. This method first requires quantifying impacts in different habitats, ecosystems or geographic locations. We used a long-term, before-and-after study to quantify the impacts of the invasive and toxic cane toad (Rhinella marina) on two predators in a highly modified ecosystem: an irrigation channel in an agricultural landscape. Survey counts spanning 8¿years indicated a severe population-level decline of 84¿% in Merten&apos;s Water Monitor (Varanus mertensi) that was coincident with the arrival of cane toads. The impact of cane toads on V. mertensi was similar to that found in other studies in other habitats, suggesting that cane toads severely impact V. mertensi populations, regardless of habitat type or geographic location. In contrast, a decline was not detected in the Freshwater Crocodile (Crocodylus johnstoni). There is now clear evidence that some C. johnstoni populations are vulnerable to cane toads, while others are not. Our results reinforce the need for the replication of impact studies within and among species; predicting impacts based on single studies could lead to overgeneralizations and potential mismanagement. © 2014 Springer International Publishing Switzerland. Scientists from Australia and the United States are calling for immediate, pre-emptive action to save the world’s frog population. 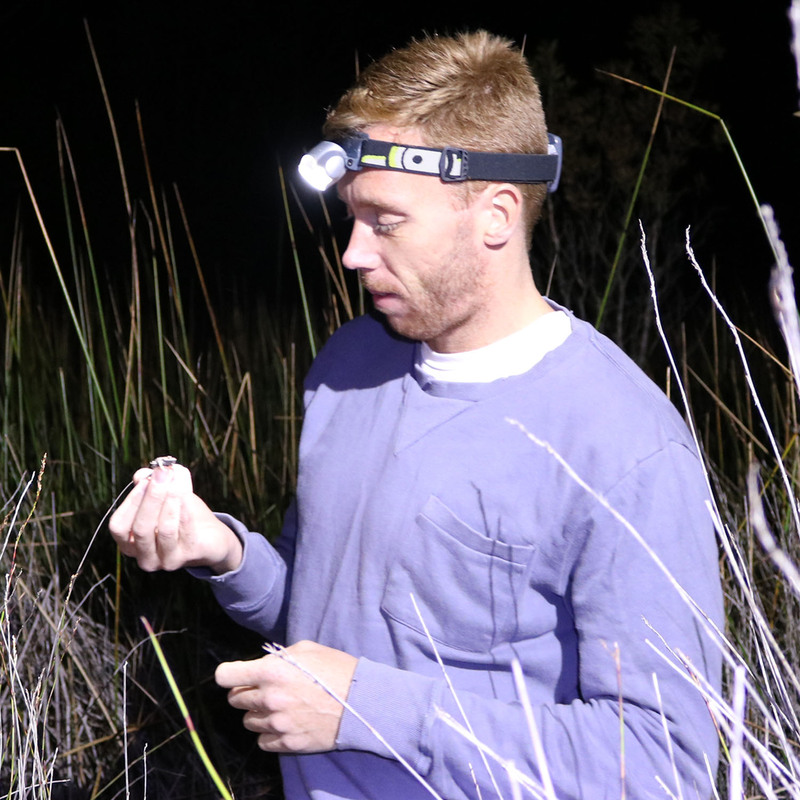 A UON biologist has made the incredible discovery of a new frog species nearby Newcastle Airport, Australia. Radio ABC1057 Darwin - Sperm banks....for lizards!